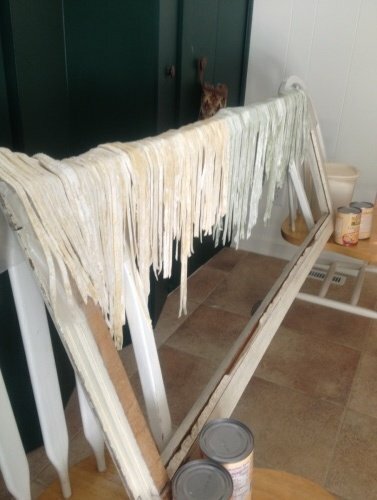 Have you always wanted to make homemade pasta but felt overwhelmed by the process? It is actually a lot easier that you think. I have been making homemade pasta for years, so when Mary Nolte asked to write a guest post about the process, I knew you would all love it. 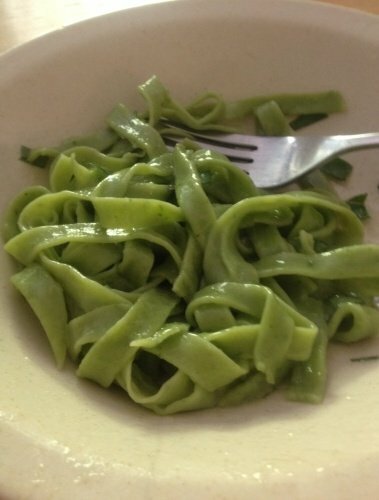 For me, there is nothing better in the world than a bowl of homemade pasta. Want to feel like a gourmet chef? It’s not that “store-bought” pasta is incredibly expensive, but this recipe will help you save a few pennies with the added bonus of making you feel like a gourmet chef. Your friends and family are sure to applaud your efforts when you serve up this pasta in any of its versatile varieties. Begin with about 3/4 Cup of all-purpose flour. Make a well in the center. Crack an egg into a clear juice glass or a small jar. Check it for any small pieces of shell. It’s easier to remove it from a small clear glass than after it’s already in the recipe. Pour the egg into the well of the flour. If you have a KitchenAid mixer , use the dough hook and mix on slow. If you do not have a fancy appliance, fear not! My grandmother mixed pasta by hand and it tasted all the more delicious. Actually, use a standard table knife to mix the dough. It will be easier to clean than a fork and will be just as effective. To the flour and egg, I use up to a teaspoon of salt. Salt quantity is to taste, but I recommend that you use at least 1/2 teaspoon. I use Himalayan pink salt, but standard table salt or sea salt is perfectly acceptable. Mix these three ingredients until a stiff dough is formed. Remove the dough and seal it in a baggie until you are ready to form the pasta. If I intend to make several batches, this is a good breaking point. Simply keep placing the dough balls into baggies and into the refrigerator until you’re ready for the next stage. Garlic: Add minced garlic (fresh or from a jar is fine). Herb: Use your imagination! I use oregano and thyme. Spinach: This is slightly more involved. I process a few hands full of spinach in a blender with a few tablespoons of water along with the egg. More flour may be required to accommodate the additional liquid, but the pasta is so delicious that you won’t mind having a little extra. Any of the above in various combinations! At our local farmer’s market, there is a vendor who sells many other variations, including beet, mushroom, lime and cilantro, garlic and chive, lemon and pepper; and black pepper and basil. I suggest that you use your imagination and search online for other ideas and variations. To craft the pasta, remove the dough from the baggies and either roll it out old-fashioned style onto a floured table top or use a Pasta Maker . I only got my pasta machine very recently. Until I got it, I modeled my Grandma Emmie’s method by using a rolling pin. I LOVE the machine. It runs about $25. I lucked out and got mine when it was on sale for $20. 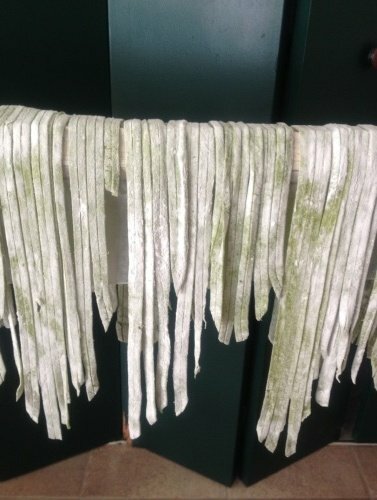 Once the pasta is rolled to about 1/8 of an inch thick, you can leave it to dry for a while, or you can cut the pasta and then let it dry. Again, you can cut it the old-fashioned way by using a knife or even a pizza wheel. Perfectly symmetrical and evenly cut pasta is not necessary. That’s the beauty of it all! Cut the pasta narrow or wide, anywhere from 1/8 of an inch up to approximately 1/2 inch wide. 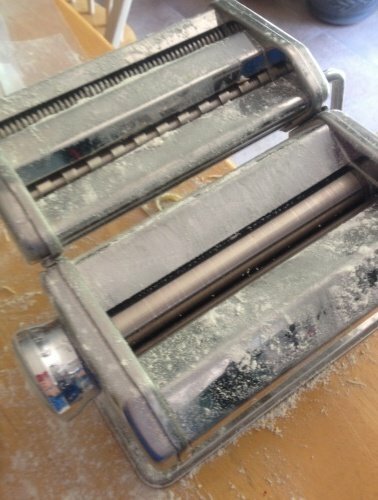 Once the pasta is cut and slightly dried, “fluff” it into some flour to keep it from sticking together. Gently roll it into “nests” and protect it well in baggies and containers until you’re ready to use it. If you’re going to use it within a day or two, it can be refrigerated. If you are stocking up, it can be frozen and will keep nicely in the freezer for 4-6 weeks. A key point for when boiling home crafted pasta is that it doesn’t need to be boiled as long as store-bought pasta. For example, spaghetti sized home crafted pasta really only needs to boil for about four minutes. Since this seems to be a matter of personal taste, I recommend that you set a timer and check the pasta at each one minute interval beginning at four minutes. Some people like their pasta more al dente than other people, right? Your favorite go-to sauce: I use a very inexpensive store-bought sauce and to each jar I add one teaspoon of sugar and one teaspoon of minced garlic. The sugar causes this sauce to darken slightly as it heats through. You can make this more hearty by combining it with ground meat as per your tried and true method. Olive oil and garlic: Heat a desired amount of olive oil in a sauce pan. Do not overheat. Add minced garlic, to taste. Drizzle over the pasta. Alfredo: Because I would be as big as a house if I ate Alfredo sauce on a regular basis, I try to avoid this one. 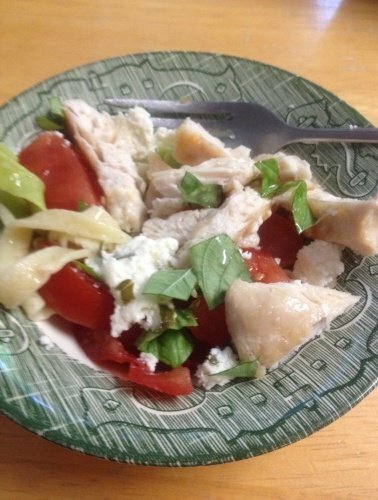 Recipes are easy to find and I have made it a time or two, and it is delicious. Spinach: Process some spinach and sea salt with olive oil and use as a pesto. Delicious! Veggies: Roast or lightly sauté fresh vegetables such as zucchini, tomatoes, onions, mushrooms, etc. Toss with your home crafted pasta for a delicious vegetarian dinner. Meats: Try broiling chicken or salmon with any of the combinations described and top your pasta with all of the deliciousness that you can imagine. To any of these, you can add favorites like black olives, feta cheese, Parmesan cheese, capers…the possibilities are endless! Enjoy! 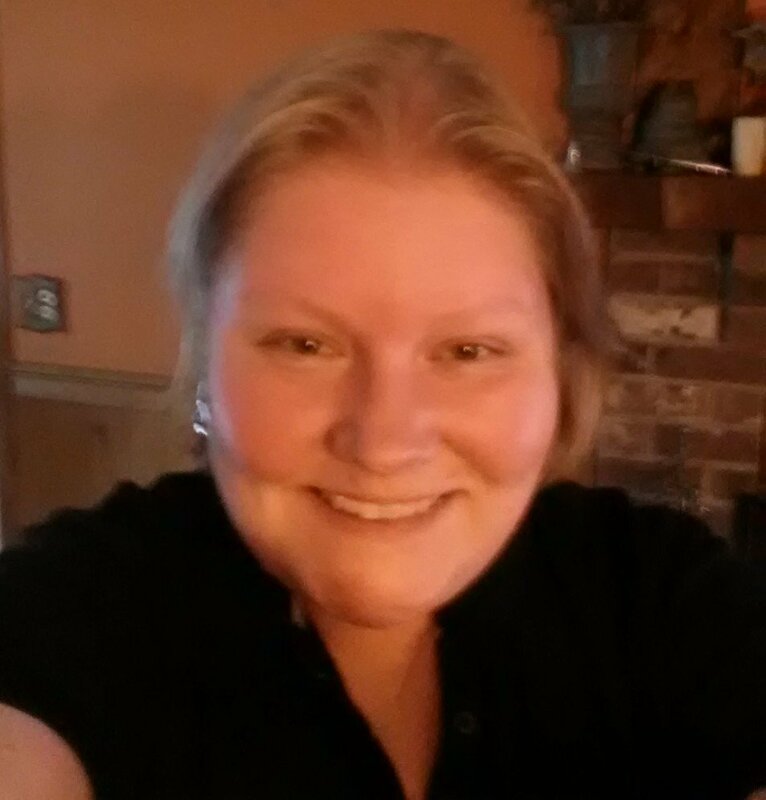 Mary Nolte is the author of The Ice Cream Truck , a collection of food related short stories. She is currently working on two new books. For more information on Mary, you can check out her website.